The road to Orkney is a long one. It doesn’t look far on a map but it’s a 12 hour drive and far more than the 500 miles that The Proclaimers would walk. There is also a pretty hefty swim involved if you don’t get the ferry across to the Orkney Islands as well. That’s just one way for our 3 night stay on our adventures in Orkney. We’ve decided to go somewhere a little bit off the beaten path, somewhere a bit more remote to get away from it all and get away from people. So, a bit like Brexit, we decided to drive off the edge of a cliff and then just keep going regardless eventually hoping to hit something. We said that last time we visited Scotland that we’d be back and do an extreme Scottish road trip, driving to Orkney is defiantly that. Orkney is not one island but a collection of seventy low-lying islands populated by Orcadians, more Scandinavian than Scottish. Orkney has its fair share of sites to see from the neolithic, norse, nature, wildlife and weather. Now they’re all on our doorstep for us to discover and explore with our adventures in Orkney. 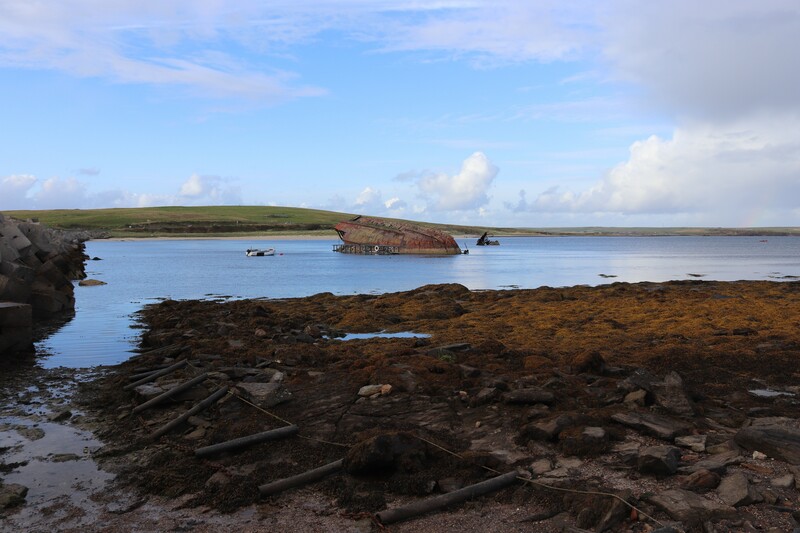 Considering the amount of questions we’ve had, I’ve decided to list these in the style of a Q and A session on Orkney – what you need to know. Orkney, it’s a bit remote isn’t it? Yes, that’s the idea. Don’t worry though, it’s got Tesco. You don’t have to drive far to get away from anybody and it’s also close enough for civilisation. Mainland Orkney is not massive and you can drive round in a day if you wanted but you’d be cheating yourself. Yes, there’s WiFi. Yes there’s accommodation, yes there’s Airbnb. And yes, Italian prisoners of war were held here during WWII although not in Airbnb and they didn’t have WiFi. They were put to good use though constructing causeways to get between some of the islands. But it’s miles away isn’t it? Yeah…. not wanting to drive 12 hours in one go from Nottinghamshire, never mind the 30 wee stops for the dog, we’ve split our trip up with an overnight stop on the way up at Blair Atholl. We did consider camping but our tent was so mouldy that even after disinfecting it, it was still creating new cultures of unbelievable toxicity that it could spawn a chemical catastrophe that a third world dictator would die for and give us some awful lung condition in the next few years. So we opted for a cheap Airbnb caravan instead. 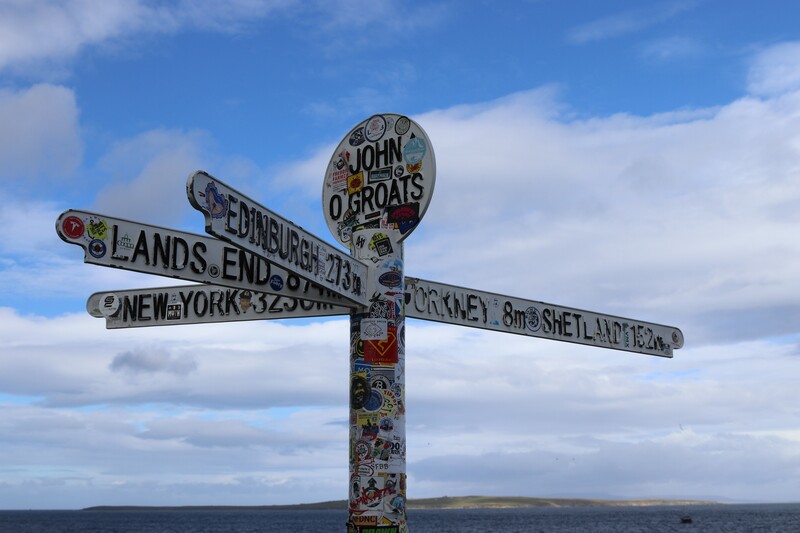 The Proclaimers would walk 500 miles but we drove nearly 600 miles, and considering diesel prices for a guzzly 4×4….. Driving north on the eastern part of the North Coast 500, we drive just past John o’ Groats to catch the ferry from Gills Bay for the one hour trip to the Orkney Islands. No you don’t have to book the ferry but you might be taking a chance. Yes, it’s not cheap (£140 return). Surely there’s nothing to see? Are you kidding? 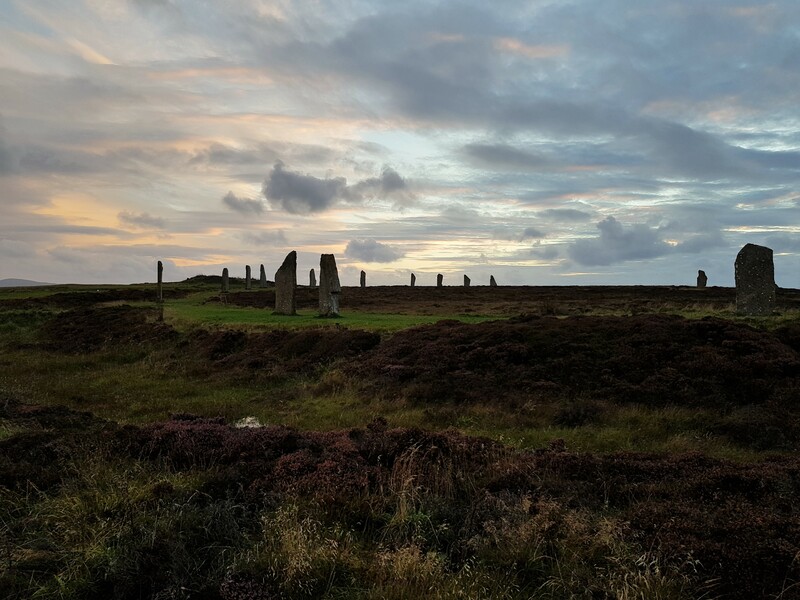 Considering that neolithic Orkney is a UNESCO World Heritage Site, the sheer amount of neolithic stones and tombs, some older than the Pyramids and Stonehenge, give the long-suffering Mrs Cook déjà vu of our megalithic monument tour from a few years back. I’m a sucker for big erect stones, I wish Mrs Cook was as well. People have been here for 10,000 years, they’ve left a few bits behind. Have you not heard about Maeshowe, the Ring of Brodgar, Skara Brae? There’s even a current archaeological excavation going off at the Ness of Brodgar. Did we tell you about the wildlife? Plenty. We see seals swimming in the sea and swear they waved at us. Sea stacks at Yesnaby and stunning coastal scenery, clear blue waters and lovely sandy shores at Skail Beach at Skara Brae. 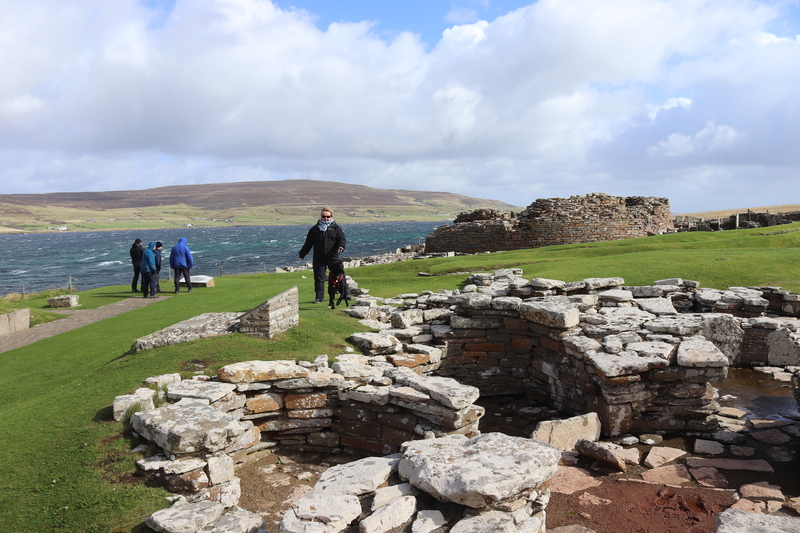 Drive right through the quaint fishing village of Stromness or explore the many cairns. You don’t have to pay to go into most cairns, there’s an element of trust that the people who visit Orkney are not complete scumbags who will come in to a tomb and daub graffiti of sexual innuendo or steal the torch that’s provided. Unless you are a viking boasting about a sexual conquest at Maeshowe. We spent 3 nights in Orkney and still had so much more to see. Yeah, it’s wild and its windy, well it was for us. The weather is mix of sunshine and soaking showers with wild wind. The ability to look like a man who’s left his waterproof coat in the car and get completely drenched in 30 seconds from one moment of having glorious sunshine to stinging rain whipped up by the winds caught us out a few times. A walk on the Brough of Birsay or the coastal area of Mull Head past the collapsed sea cave called The Gloup and up to the Brough of Deerness made sure we regretted our clothing choices. Should I visit the Orkney Islands? Yes. It’s good enough for Vikings s it should be good enough for you. See the next post, Top Sites to See in Orkney. We loved it. Video coming soon.